The death yesterday of Harry Patch, last Britisih veteran serviceman of the First World War, is a milestone which can’t fail to move anyone with any historical imagination. I rather sympathise, in principle, with Damian Thompson’s suggestion of a state funeral in the Abbey, family willing. 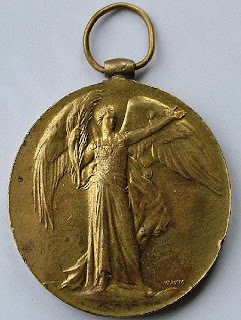 Some five and three quarter million British War Medals 1914-20 were issued. The death of Mr Patch the plumber marks the end of all that, as living memory. My father, 28 years a soldier, took us to beatings of retreat in the sixties where anyone over 70 had seen service in the First World War. Thank goodness the voices of that generation have been increasingly recorded since the groundbreaking 1964 BBC Documentary The Great War. Some 30 years ago I had a close personal encounter with Harold Macmillan at a St Catherine’s Day dinner in Balliol. With utter simplicity and a painfully clear memory Mr Macmillan, who had been shot up as a guardsman during the retreat from Mons, described the lives, hopes and characters of fellow students from the lost class of 1914, under half of whom survived, pinpointing who had lived on which staircase, and what talents had been lost by their deaths. 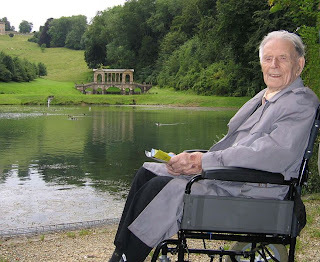 One of the great experiences of my ten years in Reading was meeting, eventually officiating at the funeral of, Charlie Evans, like Harry Patch a survivor of Passchendaele. He returned passionate to do something for his mates who hadn’t made it (three quarters of his platoon); joined the Post Office Union and the Labour Party, and ended up as a much loved mayor of Reading — there’s a road on the Amersham Road estate named after him. The world I grew up in may well have been a more respectful, safer, more decent place because pretty much everyone a certain age, soldier or civilian, male or female, from plumbers to politicians, had undergone the experience of real danger and gut-wrenching fear; of doing without and having to make the best of things. Nobody would wish that on a dog, but this experience generaly gave most of them a particular perspective on life and people. Unlike our politicians, they did not acquire knowledge of war primarily from movies. Large numbers of young men were abruptly brought to an awareness of their own limitations, the need to look out for others, tolerance of different people they would never have met in a month of Sundays had they not been drafted into the Services. Some lost God, and some found God, but many found something of themselves we struggle to understand. This whole stream of our culture is now almost extinguished, although there may be a few civilians who lived through it left. 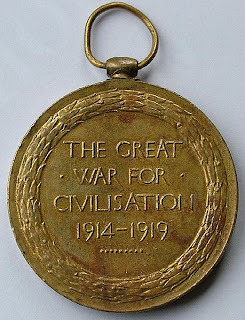 I am not sure where this leaves us in our own Great War for Civilisation. I am optimistic enough to believe young people have a great underlying spirit and capacity for altruism, that comes out when really necessary. I love the way our children’s generation network and care for each other. Plainly the ravages of ego, selfishness and materialism come much more easily to us, and them, than to Mr Patch’s generation — another reason to respect our young people, who have so much more confused and confusing a world of which to make sense. Great post, thank you for raising this. 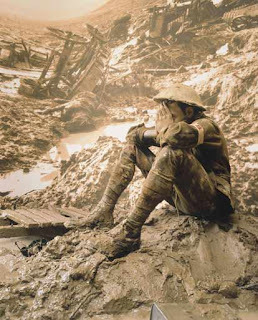 WW1 was a disaster on so many fronts and a blight on so many lives, I suspect none of us will ever fully realise what these poor chaps went through. May God grant them rest and healing. Thanks, Ed. I have noticed a trend in the last few years to read names at war memorials (including Sandhurst). It seems to give a better opportunity to pray for these people as people. They sleep in old England's heart. 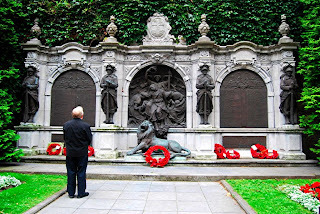 An excellent post, which gives dignity and respect to a veteran who served his country in not one Great War but also in the second war as well. I come from an Army background and have served 43 years myself. Most of my service from the 60's onward only had Northern Ireland for active service. My uncle is my sole surviving relative of his generation. He served in the Regular Army pre-war and was a Prisoner of War for three years from 1942 to 45 before continuing post war. He is able to recall the 800+ members of his Battalion who were killed or wounded during the Second World War as if it was yesterday. I have ensured that his story is written down and I believe also recorded for the future. His generation is fading away just as the first war veterans have now done. Now a new generation of young men and women face war in 6 month lumps, not total war, but one as dirty and dangerous as any before. The young people of this country continue to volunteer to serve Queen and Country as did their forbears. They deserve the respect of all of us for their unselfish, unflinching loyalty and courage doing a dangerous job in our name. 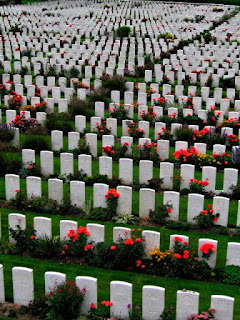 RIP Harry Patch - your job is done. Thank you so much for this, Bp A. It relates our (now not so recent)history to present generations in a very perceptive way. I'm sure that so many view things so differently now because of the lack of such shared experiences. Whilst no-one would wish for such horrors to re-appear, perhaps we as Church can provide one place where young and old can learn to value each other. A fine post. Thank you. Forgot to ask. Where is the surreal confection of a war memorial in your final scan situated? Me again. The Very British lion mislead me. 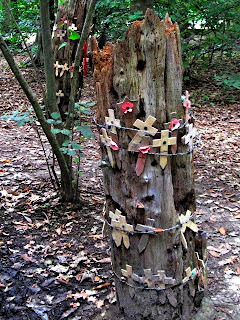 I had not noticed the poilus and the Cross of Lorraine.